Optimal lawn maintenance is more than just mowing. In fact, it usually takes many lawn services combined to maintain a healthy lawn. TLC is ready to help you get and keep your lawn looking it's very best with our specialty lawn services that are customized to your lawnâ€™s specific needs. TLC offers the most comprehensive list of landscaping services, including complete design and installation. We install limitless varieties of hardscapes, softscapes, water features and lighting. In addition we provide property maintenance, grounds management and commercial services. Our highly skilled year round team of professional tradesmen and equipment operators are trained to handle any landscaping challenge. TLC has the areas most experienced sprinkler systems design and installation team. We use the highest quality commercial and residential equipment available. With proper design, professional installation and easy to use timing systems, we make it simple to keep your yard and landscapes beautiful year round. TLC installs a variety of walkways, walls, patios, stairs and retaining walls to conquer any slope. Surrounding these hardscape areas, we create natural looking transitions to match your specific visual desire. Our designs include turf, plants, flowers and trees to meet an aesthetic theme, tame borders, provide privacy, or develop a focal point. 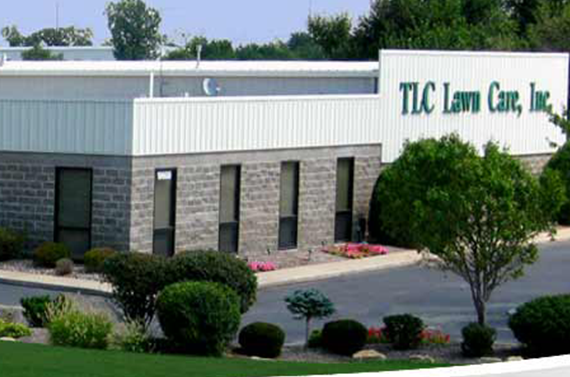 TLC provides services to residential, commercial businesses, homes associations and industrial properties to beautify and maintain their lawns and land. Our quality, professionalism, experience and customer satisfaction, is unmatched in the industry. Our goal is to help each home owner, business or organization look its best on the outside. We will keep your property both healthy and looking beautiful. 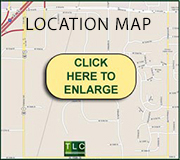 TLC specializes in residential and commercial lawn care and landscape renovations. Since 1986, we have been making yards look beautiful. Give us a call and we will create an outdoor space you'll be proud of. Let us help you grow the best looking lawn in your neighborhood. TLC will enhance the look of your outdoor areas with our full service lawn and landscape services. We are dedicated to excellence in everything we do, and your satisfaction is always our number one priority. If you are looking for a professional, reliable, experienced lawn service company, please call (913) 780-5296. Read our success stories from real customers. The good buzz from our happy customers is making our ears ring and we just had to share. You know a healthy lawn when you see it: a smooth, lush green carpet, perfect for cartwheels and croquet. So why doesn't your lawn look like that? Here are a few tips to help you get the lawn you're dreaming of. At TLC, we are dedicated to high-quality customer service. As a result, we offer a free quote to all of our customers. If you would like to take advantage of our free quote offer, please fill out the form on this page or call us today. Customer-first means making decisions based on our customers needs. It requires a commitment to providing a great experience from the moment a customer contacts us. It means building trust over time, and sustaining amazing experiences in everything we do. That's the key factor to our success since we started our lawn care services back in 1986.